Keep your drinks chilled in style with the Oasis party station from Artland. 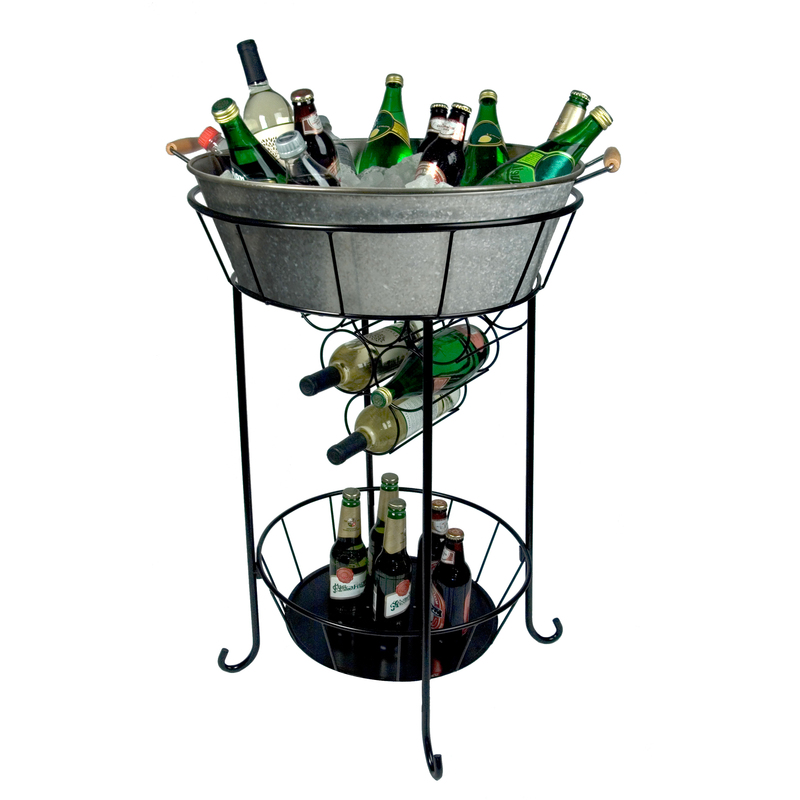 This station includes a party tub for storing drinks on ice and stand that holds wine bottles in a rack and extra drinks in a basket. Made from galvanized steel, the tub is hand finished with moderate weathering to give it that antiqued look. This distressed finish makes each tub unique, ensuring that no two are exactly the same. It also features two secure grip handles, and the included three legged stand features a wine rack underneath and an additional carrying basket at the feet of the stand. All of the pieces are dishwasher safe, making clean up a breeze.